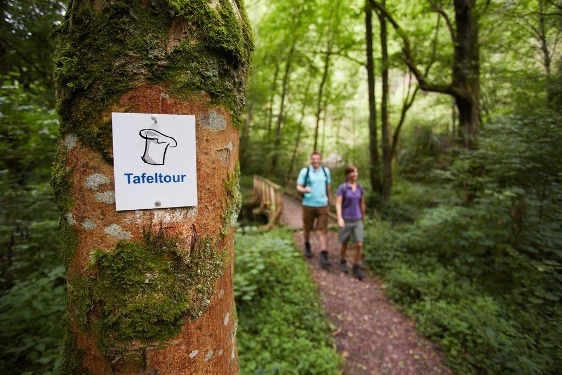 The so-called “Saarland Tafeltouren“ are a special way to explore the region’s first-rate hiking trails: Discover the most beautiful routes while at the same time enjoying the Saarland’s outstanding regional cuisine in restaurants along the way! On this tour you hike along river valleys and mountain paths through the nature reserve to high Medieval Castle Montclair . 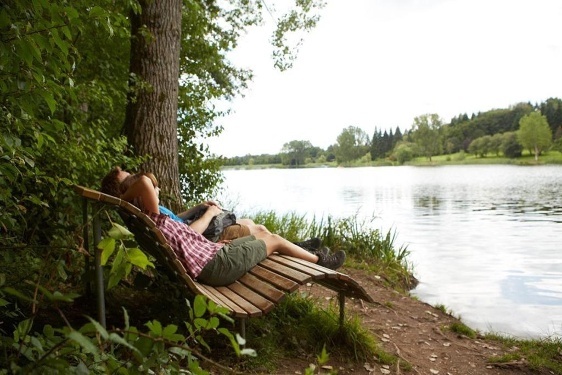 The lookout Cloef offers you a magnificent view of the Saar loop and the spectacular scenery . 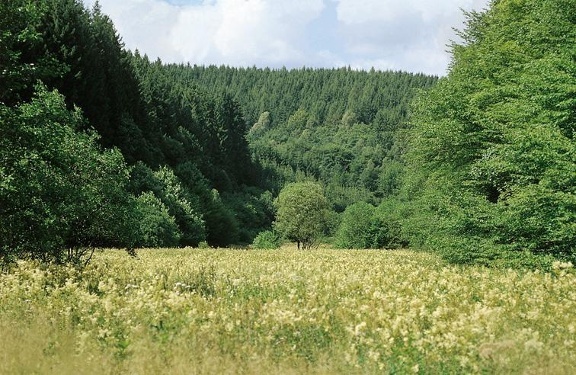 This trail will take you through one of the Saarland’s biggest woodlands. 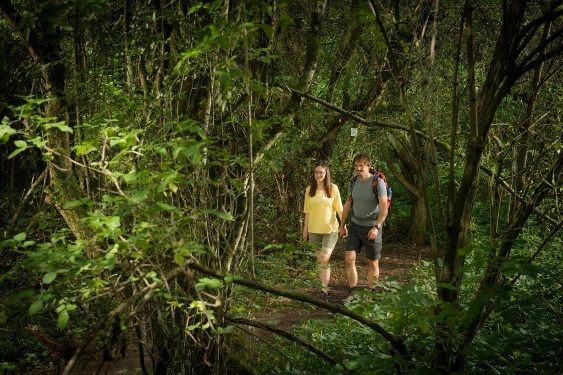 Kilometer after kilometer of meandering paths invite you on a spectacular hike in the forest. There will be banks of mottled sandstone on the way as well as caves. You’ll also see the mysterious Frauenbrunnen well that has been used as a ceremonial site since Celtic times. 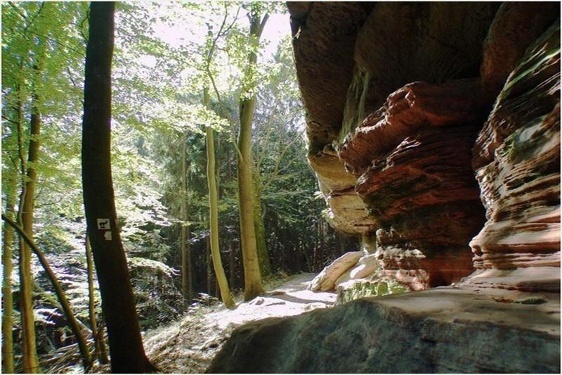 This trail features grand views on the Schaumberger Land region and frequent changes between forest and open country. Don’t miss the old boundary stones marking the border between the former ‘Saargebiet‘ and German Reich which you’ll come across along the way. 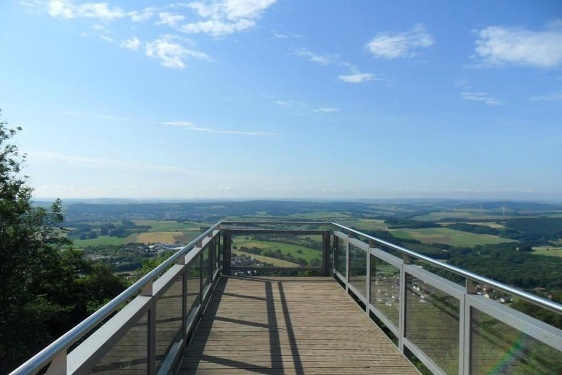 While hiking across the 569 metres high Schaumberg mountain, you’ll be able to enjoy beautiful views of the undulated Saar-Nahe highland and almost all regions in the Saarland. Wild romantic creek valleys and idyllic landscapes add to the attraction of this tour.